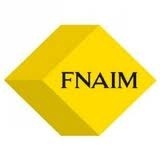 FNAIM 2012 Congress & International Convention: Programme now available! FNAIM, the French Real Estate Association, invites real estate professionals worldwide to the 66th FNAIM Congress - 6th International Convention & European Forum “Europe Meets the World” on December 10 and 11, 2012 in Paris. CEPI will be present, in particular for a presentation on how EU legislation influences the real estate industry and professions, and to portray the state of European property markets. The detailed programme of the whole event is now available. The opening ceremony will be conducted by FNAIM’s President, René Pallincourt. The Convention will feature an International Village to meet potential partners, roundtables with experts on business strategy, banking, tax laws impacting foreign investors, French regions or investment opportunities, introductions to French and European real estate markets and sessions to exchange experiences and success stories. There will also be presentations on major industry international events in 2013 and on how to develop international business strategies, as well as training sessions by ESI FNAIM International Real Estate Academy. The French Minister in charge of housing will be present and provide a speech. FNAIM International Convention will offer business development opportunities, including promotion of listings globally, networking with brokers from France and throughout Europe and the world. Professionals from all over Europe and farer away will be there to learn about opportunities for foreign investors in France, share what France should know about investors from their markets and find out how they can cooperate with FNAIM members. A special exhibition area will be provided for international participants to promote their projects and to network with brokers from around the globe. English translation will be available for international and keynote sessions.